Each day, nearly 3,200 people under the age of 18 smoke their first cigarette. If America’s youths continue to pick up the smoking habit, about one in every 13 young people could die prematurely from a smoking-related illness. Statistics like these make the No Tobacco Challenge such an important initiative for Methodist in Douglas, Sarpy and Cass counties. The annual program engages thousands of third-graders in 517 classrooms across the Omaha metro area to talk about the dangers of tobacco and the importance of making healthy choices. Children are provided educational materials for their classrooms and pledge cards. They're also challenged with an artwork project, in which each student portrays his or her commitment to a tobacco-free life. One child’s artwork is chosen from a pool of finalists, and this year’s grand prize winner is Axton Sayles, a student at West Dodge Station in Elkhorn. Axton’s artwork will be featured on two outdoor billboards, and she will receive a $25 gift certificate to Barnes & Noble. Her class will also receive a $200 Barnes & Noble gift certificate following a celebration party to be held at West Dodge Station. Runners-up included students from Chandler View, Sagewood, Springville, St. Pius X/St. Leo and Thomas elementary schools. This year’s young artists did not disappoint. Check out the amazing artwork and our list of winners below! 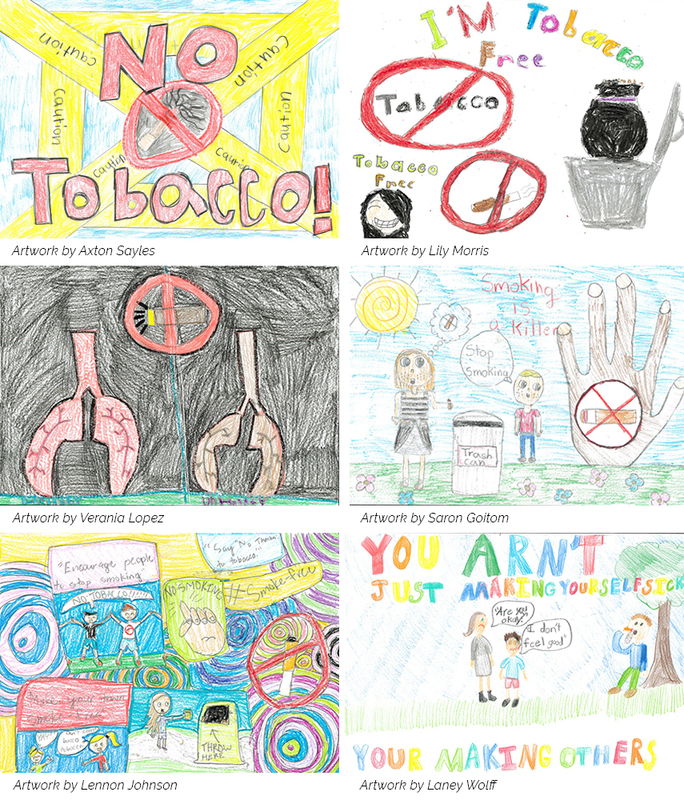 Congratulations to our No Tobacco Challenge winners! The No Tobacco Challenge was a program first implemented by Methodist Health System. In 2016, Metro Omaha Tobacco Action Coalition (MOTAC) and Tobacco Education & Advocacy of the Midlands (T.E.A.M.) joined forces to expand the reach of the tobacco-free message. Classroom instruction and activities are derived from a program sponsored by Scholastic. Funding for this project is provided by Methodist Health System and the Nebraska Department of Health and Human Services/Tobacco Free Nebraska Program as a result of the Tobacco Master Settlement Agreement.